There is a pretty clear call to action in the world to save the bees. And rightly so, many of the fruits, nuts, vegetables, and herbs we eat need pollinators to reproduce. And well, that pretty much says it all. While not everybody loves bees, what with the stinging and the allergies, it is still incredibly important that we keep their populations healthy and active. Plan for a continuous succession of plants flowering from spring through fall. 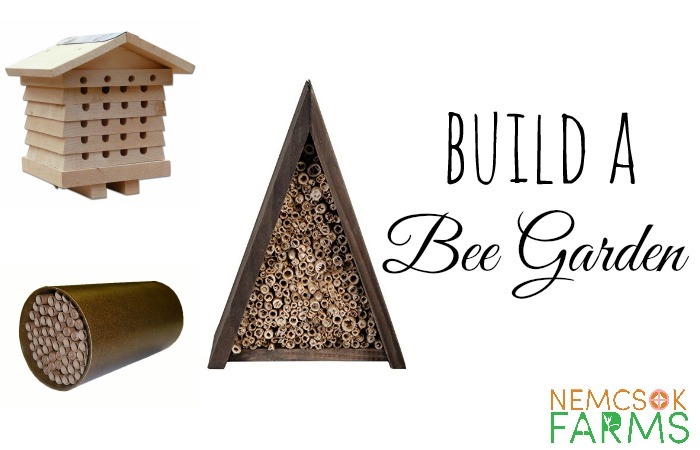 Consider providing nesting sites, and a fresh supply of water. 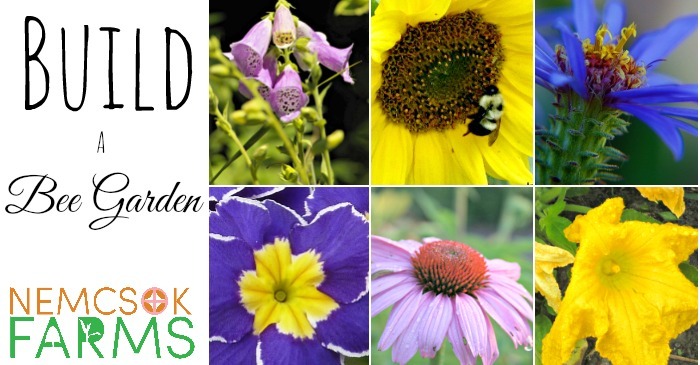 To keep the bees fed all season, have plants that flower at different times. 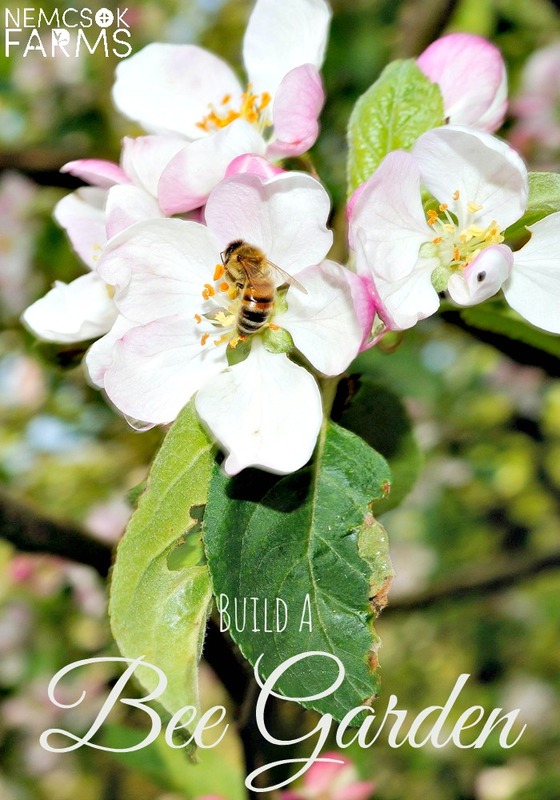 Plant some crab apple and apple trees, blueberry bushes and foxglove for early blooms. Add chives, lavender, raspberry bushes and sunflowers for the middle of summer blooms. Pumpkin, squash and echinacea and asters are all great options for later in the summer and early fall. Plant flowers of a single species in big groups instead of in scatterings so bees are more likely to find them. Also, a variety of flower shapes and colours will benefit a diversity of bees. Besides those great big nectar and pollen filled flowers, bees need a place to nest and lay eggs, and they also need water. Provide fresh water to drink by lining a shallow bowl or plate with rocks before adding water, leaving some rock surface as landing strips, and top up the water often. 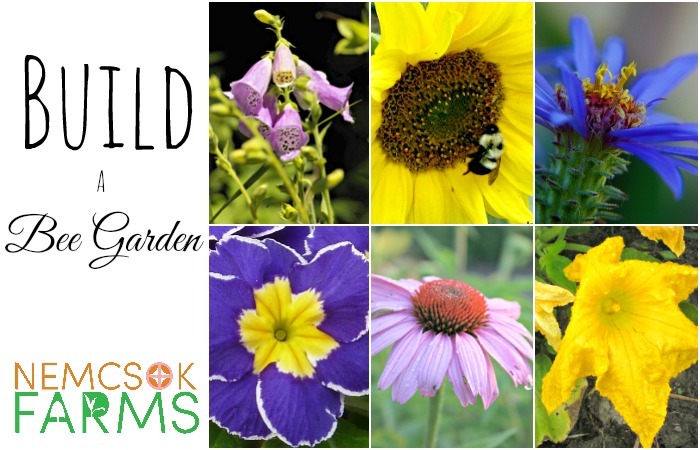 Follow Evelyne @ Nemcsok Farms’s board Pollinators on Pinterest.